clear and lovely! full of lessons to pass on to my poets in the making! This book was truly inspirational. I loved it! 3.5A good introduction to poetry for the very beginning student, or one who does not have any grasp on poetry at all. Full of contemporary poets as well. The last several chapters, which are devoted to different types of poetry (love poems, elegies, etc.) can get rendundant and sweeping in their generalizations. While some of the poems included to illustrate particular elements of craft were interesting, the analyses of said poems were trite, condescending, and shallow. The very few writing prompts the text offers are fine, but nothing new. I'm not sure if this is just an issue with my copy of the book, but the "Poet's Notecard" sections look like they were printed with like, the ten cent copier at the public library- dark and grainy almost to the point of illegibility (although frankly, these "notecards" are basically garbage, so it's not like not being able to read them is too devastating). Overall, for a text that claims to be a guide, The Mind's Eye does very little guiding; the only useful thing I took away from reading it was a few new poets to check out, and there are much better anthological sources for that kind of thing. I honestly can't even see this book being useful to a beginning poet. Interesting Primer to Poetry. I would have liked more of a focus on structure, form, and theme, but almost all of Clark's efforts are focused on imagery, which, albeit, is an integral part of poetry. Pretty good, but there's probably better options for an introduction to poetry. This book was not for me. It showed a lot of poetry pieces and told why each one was good for numerous reasons. I did find a few interesting pieces in this book, but for the most part, it was too informative for my liking. 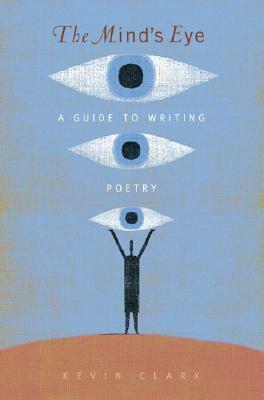 I loved Kevin Clark's guide for beginning poets. Part instructional guidebook, part workbook, it is the perfect balance. I loved the exercises he included at the end of every chapter I found myself doing them eagerly. Definitely one of the best I have used so far. I think it's hard to rate "writing guides" like this... but this book has a lot of interesting and thought provoking sections, examples, and exercises. A good read if you are thinking about really applying yourself to poetry, but nothing can teach you to write, other than to write.